With more than four decades of metal stamping and fabrication experience, Ultra Tool & Manufacturing will deliver high-quality, precision parts and components that are compatible with foodservice equipment. We have the technical expertise and knowledge to work with 304 stainless steel, titanium and other food-grade materials and alloys popular in the foodservice industry. We offer flexible production schedules and quick turnaround times to deliver parts and components which meet your shipping goals. Lastly, our thorough manufacturing and packaging processes ensure that the quality and appearance of your parts will exceed your expectations. Ultra Tool & Manufacturing produces a wide range of precision metal parts for the foodservice industry including commercial and residential kitchen equipment and appliances, as well as food and beverage equipment used in production, handling and processing. This was leading to a decline in the precision and quality of work being performed. Concern was growing that this inconsistent service would negatively impact the quality of their products. 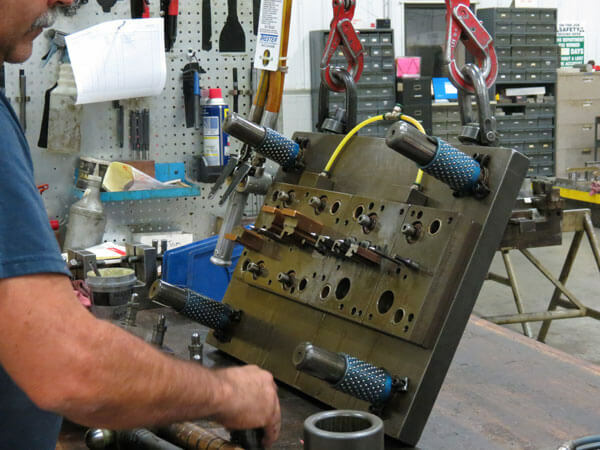 The customer’s plan of action was to establish a tool & die shop that could successfully handle the quantity and diversity of their dies for regular preventative maintenance and unexpected service issues. Ultra was able to deliver a customized service plan to fit the needs of the customer.